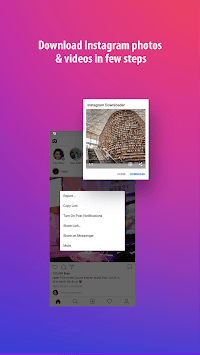 With just one click, Media Save for Instagram will help you download or repost your favorite videos and pictures on Instagram and Vine. And it is 100% FREE. Now you can quickly view Instagram photos and videos offline by downloading them using Media Save for Instagram app. After saving you can even repost them. It is different from other photo video download apps for Instagram, It is very easy and fast to use for download Videos and save HD Photos. * Save any photo or video on Insta story feed. * Insta Login required just once and no need to re-login until you log out. * Multiple Insta accounts are accepted and it can be used simultaneously. 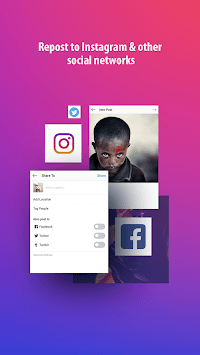 * Save any Album photo or carousel photo or video on Instagram. * Multi save option to enable to select and save multiple photo or video at the same time on Instagram. * Multi save option available in Story screen to select and save multiple photo or video at the same time on Instagram. 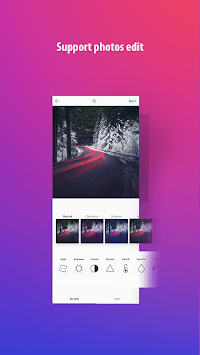 * User can see all Insta photo or video in detail view to like, share and save them. * Search and find any photo or video on Instagram to save it. * Play video on Instagram and save it to local. * Find recently liked Insta photo or video and save to local. ** Please do not use Save for Instagram photo downloader to save photo and video without the permission of the respective users. ** This app is not associated with Instagram.